The zone was formed with consultation between our establishment Board, Lincoln Primary and the community. The zone was formed with consultation between our establishment Board, Lincoln Primary and the community. It has been published and will be in action three months from the date of publication. Families with children currently at Lincoln Primary have the choice of staying at Lincoln unless they move property. 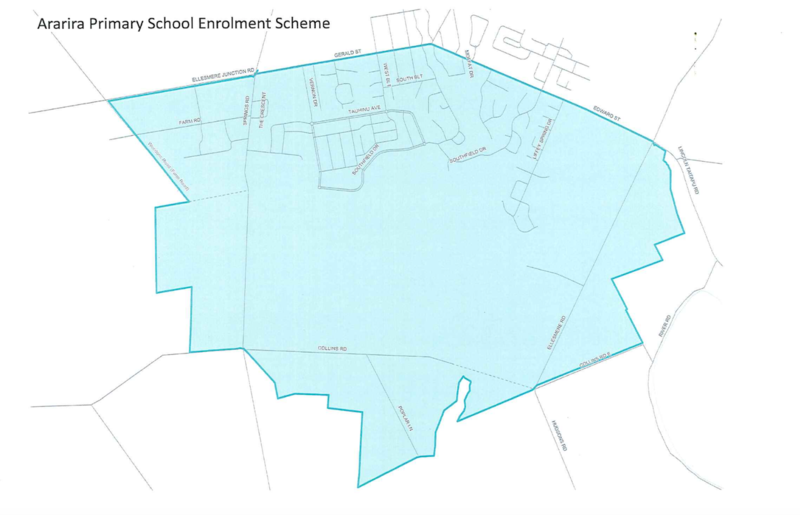 The enrolment scheme home zone follows the following boundary roads. Both sides of boundary roads are included unless specified otherwise. From the intersection of Gerald Street / Springs Road / Ellesmere Junction Road. West along Ellesmere Junction Road to Farm Road. Southeast along Weedons Road through to Springs Road. South on Springs Road to Collins Road. East on Collins Road and the paper road through to Ellesmere Road/ Hudsons. Road intersection (including addresses on Poplar Lane and addresses 40 and 24 Collins Road East). Northeast on Ellesmere Road to Edward Street. West on the south side only of Edward Street to Gerald Street. West on the south side only of Gerald Street to Springs Road. Section11E of the Education Act 1989 states that “a state school’s home zone must be defined by geographic boundaries, and must be described in such a way that any given address is either within or outside the home zone.” The list above is defining a location as “in-zone” for Ararira Springs Primary school. We will be unable to take any out of zone enrolments. We expect to be ready for enrolments in June and will post on Facebook when our systems are established.